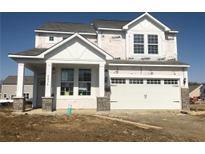 Find Whitestown, IN New Homes for sale. View Photos, Maps and MLS Data Now! The 2 story foyer with wrought iron spindles will blow you away! 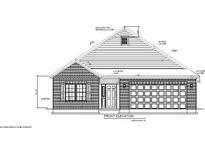 MLS#21635728. HMS Real Estate, LLC. 4 bedroom, 3 bath home backs up to Sunrise-in-the-Morning Pond View. MLS#21626215. CENTURY 21 Scheetz. Anson - Deep Kitchen Sink – Upgraded Light Fixtures with Additional Lights & Fans – Included Stainless Steel Appliances: Electric Range, Microwave & Dishwasher – Upgraded Flooring throughout the Home MLS#21622943. Ridgeline Realty, LLC. Anson - Deep Kitchen Sink – Upgraded Light Fixtures with Additional Lights & Fans – Included Stainless Steel Appliances: Electric Range, Range Hood & Dishwasher – Upgraded Flooring throughout the Home MLS#21619080. Ridgeline Realty, LLC. A tremendous value in a wonderful community! MLS#21614758. CENTURY 21 Scheetz. Photos may be of similar model. MLS#21614086. CENTURY 21 Scheetz. This one is a must see! 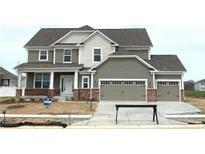 MLS#21613713. HMS Real Estate, LLC. Photos may be of a similar model. MLS#21612480. CENTURY 21 Scheetz. Community convenient to shopping, dining, interstates, parks and much more! MLS#21609090. HMS Real Estate, LLC. Photos may be of a similar model. MLS#21608141. CENTURY 21 Scheetz. Nestled off the spacious kitchen and window-filled gathering room is an oversized dining nook, providing plenty of space for casual and formal dining. MLS#21603230. CENTURY 21 Scheetz. 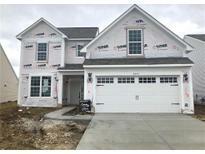 Community is convenient to shopping, dining, interstates, downtown Zionsville and much more! Schedule your showing today! 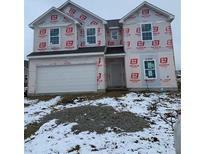 MLS#21590485. HMS Real Estate, LLC.